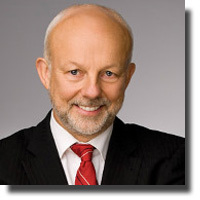 For this (American)Thanksgiving day concert in the Tea & Trumpets Series, host Christopher Gaze and the Vancouver Symphony Orchestra led by Gordon Gerrard took the audience on an enjoyable exploration of classical music that has formed part of a soundtrack to some iconic films. When playing a concert that spotlights film music, why not open with an overture? One of the most famous and beloved overtures that has been used in countless movies is Gioachino Rossini's Overture to the Barber of Seville (from the opera Il Barbiere di Siviglia). Rossini himself liked it so much that he recycled the piece from a couple of earlier operas. Warner Brothers liked it too. Its scampering impulse and busy movement made it ideal for the Bugs Bunny cartoon set in the Hollywood Bowl. Anyone who saw and enjoyed the brilliant dichotomy in Darren Aronofsky’s 2010 film Black Swan would know that the plot revolves around a quirky production of Pyotr Ilyich Tchaikovsky's ballet Swan Lake. The orchestra play Tchaikovsky's oeuvre with all the nobility and charm it surely deserves. Next up, Christopher Gaze introduces featured performer, thirteen-year-old Lui Xu Kun (Alan) who joins the orchestra in a masterful interpretation of Joaquín Rodrigo’s Fantasia para un gentilhombre: IV Canario. Mr. Liu demonstrates subtle finger work, with the orchestra giving the young guitarist sensitive support. However, the music prodigy still has yet to grasp aspects of the Spanish idiom. The playing of Rodrigo gave host Christopher Gaze an opportunity to offer an anecdote about his friend, the late Peter Postlethwaite who plays the leader of a colliery brass band in the British film Brassed Off. Fantasia para un gentilhombre is not actually featured in the film, but Rodrigo’s En Aranjuez Con Tu Amor is. The Vancouver Symphony has the right orchestral density to make this rendition of Beethoven's Symphony No. 7 in A major truly spectacular. While it’s only the 2nd movement that gets played, I’m sure that fans of Beethoven will have found this extremely satisfying. Christopher Gaze pointed out the acute irony of German music being used in The King’s Speech – a film about Britain's declaration of war with Nazi Germany in 1939. For many people like me who find Richard Wagner's operas not always that accessible, Wagner’s Ride of the Valkyries will be forever associated with Francis Coppola’s 1979 film, Apocalypse Now. Hearing this music, I can only bring to mind that iconic scene with Lieutenant Colonel Bill Kilgore (played by Robert Duvall) leading the Air Cavalry regiment on an assault on a Vietnamese village with The Valkyries blasting out of loudspeakers mounted on helicopters. At the close of the regular repertoire, the musicians remain on stage for a generous encore of Jacques Offenbach's Orpheus in the Underworld – a tune most associated with the Can-Can.